The Boer is the only goat bred specifically for meat, as goats traditionally are a by-product of the milk and fibre industries. 'The demand for goat meat is there,' confirms Geof Burnett-Smith of Terraweena UK goat stud near Letham Grange, north of Arbroath. 'We just need more breeders.' One local farmer wants to exchange his entire sheep flock for 1500 goats, 'as fast as I can get them to him', says Burnett-Smith. Commercially, goats are productive. They wean more twins, can be brought to market more quickly and fetch a better price. 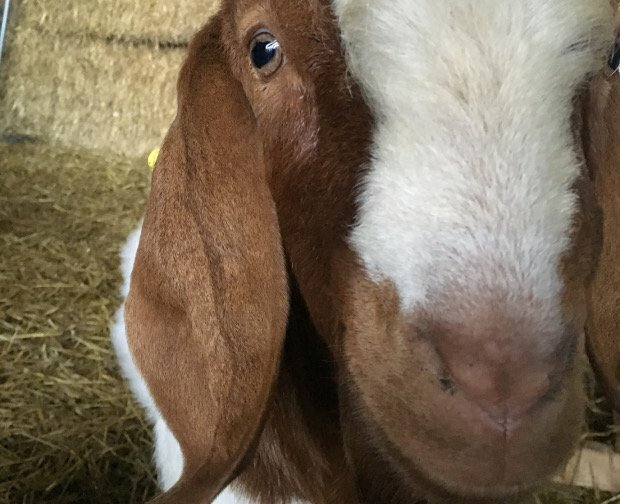 'There is huge interest, not just from communities who traditionally eat goat meat but from those concerned with healthy eating and provenance.' Goat is the leanest red meat, with low cholesterol levels, and suits the 'low and slow' cooking of curries and stews.